Last weekend I visited Memphis, TN for a fun weekend full of BBQ, Blues and of course beer. Since we realized that drinking & eating all day, every day was probably a bad idea, we decided to educate ourselves a little bit. We took an hour and a half river boat tour of the Mississippi which was not all that exciting. 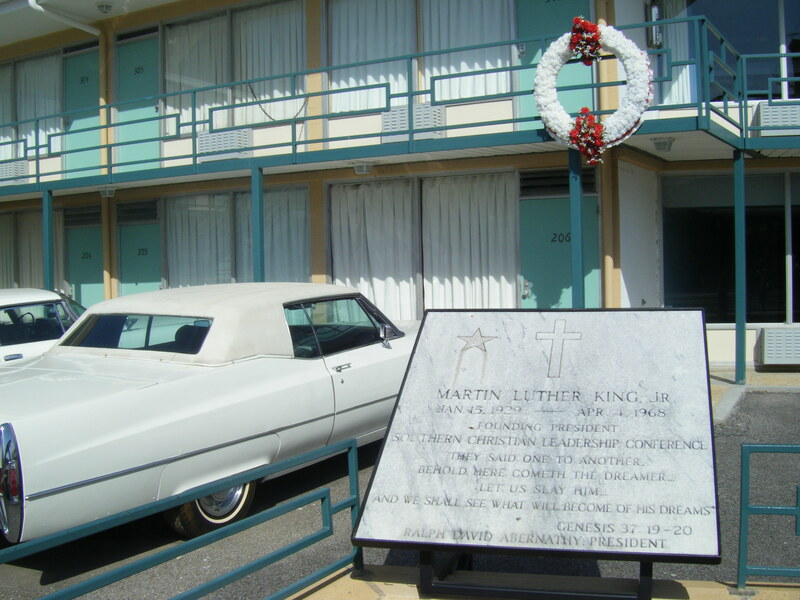 But, on Saturday we took the trolley a few blocks south of the fun of Beale street and visited the National Civil Rights Museum located in the original Lorraine Motel (the site of the assassination of Dr. Martin Luther King Jr.). 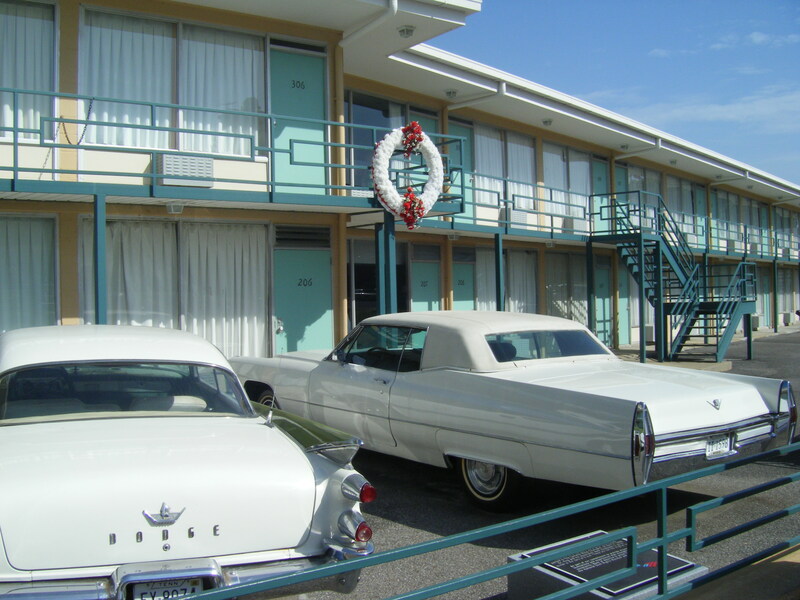 Seeing the face of the hotel still exactly as it was in 1968, was incredibly moving. We decided to spring for the extra $2 and get the audio tour (very dorky looking). I’m glad we did as the museum was FULL of incredibly interesting information, photos, documents, videos, audio recordings, etc., that without the tour I would have missed some really important information. What really amazed me about my visit to the museum was all the arguments whites used throughout the 60s to fight equal rights for blacks. There was one cartoon that really got to me. It was basically a slippery slope argument of what would happen to your perfect little white family if schools were forced to integrate. At first I thought it was a positive message as it showed little kids white and black playing together hand and hand. Then it showed the same kids dating, falling in love, marrying and eventually having babies together (the images were of a white girl with a black man). The final pane of the cartoon showed an elderly white woman with two grandchildren, one pure white, the other pure black (again, white girl, black boy). The final quote said something along the lines of “You never thought it would be possible. With school integration, this could be your family”. Apparently aiming at the fears of white people that having a black grandchild would be the worse thing in the world. AMAZING. Other arguments I noticed were large signs calling integration, and equal/voting rights for black citizens as COMMUNISM. It amazes me that the same backwards thinking people that were hollering communism 45 years ago, are yelling the same thing today. Why is progressive thinking (gay marriage rights, unemployment benefits, etc.) now being deemed “communism”. Is there some tie between our black president, and these rants of the 60s against blacks? I don’t know, but maybe I just wasn’t paying attention before Bush, or perhaps I was too young, but I don’t remember the calls of socialism and communism being screamed as loudly before Obama took office.